This Premier specialty boarding school is located a short distance from the Red River in a small farming community called Lecompte, Louisiana. The rural environment makes for an appropriate setting free from the distractions and negativity that some youth surround themselves with. This school is specially designed to assist young people in creating a meaningful change in their lives through educational opportunities and character development. 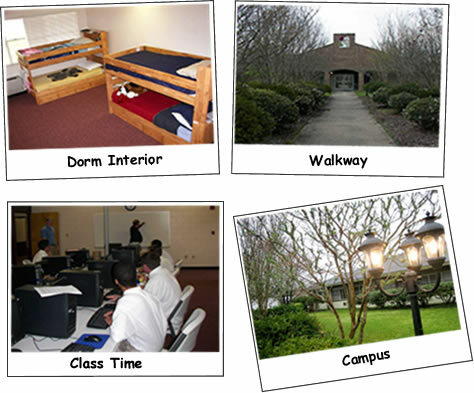 The boarding school maintains close supervision of youth in a 24-hour structured setting. The regimented schedule provides a climate that youth without internal structure or discipline thrive on. The limits and rules in the program provide a safety net for the teens, giving them the security that they will not be allowed to go “too far.” As they earn the trust of the staff and reach the upper levels of the program, they receive the additional freedom needed to learn independence, but never more than they can handle. As a final step in the process of internalizing new thinking and behavior, students participate in leadership training where they help teach the principles they have learned to their peers. Because education is an essential part of change, the school strives to influence youth to refocus themselves and invest in their education. The academic program is individualized to the needs of each student under the direction of certified teachers. Students must demonstrate content mastery by scoring 80% or higher in order to advance in their studies. This ensures that students are building a foundation of knowledge and maximizes their future learning opportunities. School facilities consist of a library and classrooms with computer workstations for each student. Recreational facilities include an open playing field, basketball court, and weight room. In addition to changing the negative beliefs, attitudes, and behaviors of the youth, they also endeavor to rebuild and renew family relationships that have been damaged by negative patterns of interaction. Family involvement is essential to this process and is a very important aspect of bringing about a lasting change. As parents and children participate in growth seminars the entire family will evolve to create a new and joyful dynamic where mutual love and respect exist.